Don't overpumpkin the décor! Moderation is a virtue most rare and needed with wedding planners and designers. Consult your colour scheme and play around with other elements based on the complimenting hues, e.g. if lush green is your second colour, you can add pumpkin vines or pumpkin vine decorations and patterns, ferns, succulents and green tablecloths. Add scarlet roses, tea lights and pomegranate for a more autumn-leaves oriented theme. For an eggplant hue, combine cascading ómbre 'flowerfalls', fruit stands with figs and what about having a purple bouquet with wee tangerines gently placed in it? The little touches will add up to a fairytale trail to involve each and every one of your guests in. 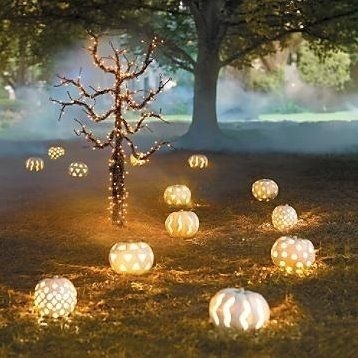 Do you have more pumpkin wedding ideas? We want to hear them! Give us some love by sharing the article and let us know what else you want to read on our blog. We love to inspire you! We can't think of any other style icon of the last century who oozes elegance and class, has become a timeless symbol of '50s fashion and is an uncompromising proponent of the philosophy that one should wear what makes them feel comfortable in their own skin. Comfort and style at once - isn't that the thin line we're all walking when facing the mirror daily? Getting ready for work, going out for cocktails on Friday night, meeting business partners and clients, prepping for a romantic dinner, taking the kids out on a Sunday... Why not learn from the lady who's cracked the code of humble elegance? Ladies and gentlemen, the sweetheart of Givenchy: Audrey Hepburn. The screen legend dressed almost exclusively by Givenchy is famous not only for heroines who've impressed on the spirit of entire decades, enviable silhouettes and a wardrobe for millions. She's also known to have been heavily involved in dictating the vision for the clothes of all of the characters she's played. For the character of Sabrina from her eponymous movie, she even flew to Paris to meet Givenchy at his atelier and insisted on sourcing the clothes for the movie from his collections. For her, each dress, each ensemble meant a different woman with a certain destiny. Could we imagine Holly Golightly without her stunning headwear and a pair of vintage sunglasses?